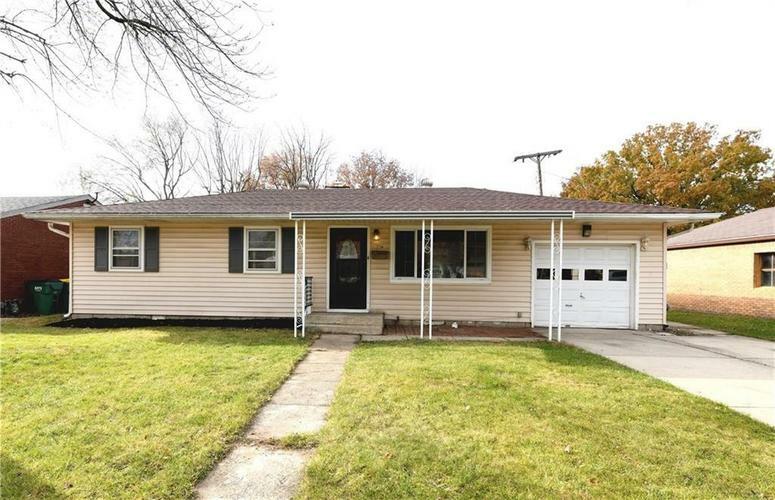 Fabulous Newly Renovated RANCH 3BD/ 1Bath w/ spacious garage with storage area. You will love the sunroom, new flooring throughout, brand new kitchen w/ new SS Appliances. Gorgeous new bathroom, fenced yard with storage shed, tons to offer at this price. A MUST see!!! Directions:CRAWFORDSVILLE RD IN SPEEDWAY TO AUBURN ST. NORTH TO HOUSE ON WEST SIDE OF STREET.